The road of the entrepreneur can be challenging and exhilarating, frustrating and isolating, inspiring and exhausting, sometimes all in the same week. For people invested in starting their own business, the perspective of others who have been there, who are there right now, can be invaluable. Blogs play a huge role in sharing information, opening up experiences, and encouraging entrepreneurs to take risks and work smarter. But wading through the thousands of blogs out there to get to the really good stuff is a daunting task. To get your 2015 blogroll off to a great start, we’ve rounded up a list of excellent blogs aimed at small businesses just getting started. In no particular order, here are 35 of our favorites. Blogger, author, speaker and self-proclaimed digital analyst/anthropologist/futurist Brian Solis has a lot to say about how disruptive technology intersects with our lives, both in business and in society as a whole. 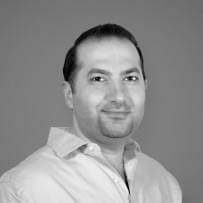 He works at the principal of the Altimeter Group, a research and advisory firm. “Branding” is a huge buzzword, and it’s regarded as something of a mystery or dark art by most outside of marketing circles. But simple branding principles, specifically applied, can give your business a tremendous boost. A blue-ribbon cadre of authors contribute their tips, tricks, and lessons learned on this clear and useful blog. The co-founder and CEO of Buffer shares his journey with his social media management app in very personal terms, just as you might expect from a guy who has made “transparency” a cornerstone of his brand. Both thoughtful and thought-provoking. For all the bad press Millennials get, they are making a huge impact on the entrepreneurial community as both creators and customers. This diverse blog keeps a finger on the pulse of small businesses as start-ups, with a special focus on the contributions of young people. With it’s focus on “people, planet, profit”, this idealistic and practical blog is devoted to ethical, sustainable & profitable business news, developments, and best-practice development. The authors come from a wide range of backgrounds and expertise, making it a well-balanced and valuable source of both information and insight. Hosted by writer, speaker and celebrated strategist Liz Strauss, this bare-bones blog gets right to the point with an ongoing series of posts about how to succeed as a small business. With sharply written articles on issues ranging from newsletters to health insurance, it keeps the idea of healthy business relationships at the forefront. Sean Ogle says that back in 2009 “his life sucked.” So he made a massive change, moving to Thailand and starting his own business. He documented the journey in this blog, and continues to write about building and growing a location-independent business. This whip-smart blog is written by a former US Marine who is now a full-time analyst and entrepreneur. The posts have a strong motivational bent, but also get into the nitty-gritty of starting and nurturing a brand-new business. Run by co-founder and CTO of internet marketing platform HubSpot Dharmesh Shah, this authoritative blog has plenty to say about starting a business. The strongest focus is on software-based startups, but the detailed posts are applicable to any new venture. ​As a best-selling business author, entrepreneur and executive, Ben Casnocha is full of good advice and unique insight on the qualities that make for a successful company founder. His blog has an engaging personal bent, while still being chock-full of smart advice. Blogger Ben Yoskovitz is a highly-experienced entrepreneur and executive-level leader who is currently an active angel investor and a founding partner at Year One Labs, an early-stage startup accelerator. His informative, encouraging posts pull no punches. This blog promises “expertise, wisdom, and resources for startups and entrepreneurs,” and it delivers with detailed, regular posts about some of the very specific challenges that face young businesses. Their analysis of detailed surveys and reports are especially valuable. Professor an author Steve Blank is revered for his decades of experience in business, his clarity of mind and communication, and his generosity of spirit in sharing his deep knowledge and insight of startups and innovation. His blog is an ongoing fountain of that wisdom. A gem. This no-nonsense blog gets right to the heart of internet marketing, with sharp, relevant daily posts on techniques, research, news, and general marketing advice. A clean design and bright, easily digestible articles make this a must-read. Several amazing blogs in one great network, covering many integral aspects of entrepreneurship. It gives a voice to the lived experience of business leaders in companies large and small and offers a sense of community to new CEOs. ​This hugely valuable blog is run by the people behind the Onevest startup investing platform. Their commitment to democratizing the funding process for small businesses makes them uniquely situated to comment and advise on the very earliest startup stages. Chris Dixon has started several successful companies and invested in many more, including Skype, Foursquare, Pinterest, and Kickstarter (the actual site) to name just a few. His brisk posts cover startup, technology, and investment news and opinion. Another blog aimed at a young demographic but applicable to all startups, Epic Launch is run by a team of strong writers and covers a wide range of topics. The interviews with successful entrepreneurs and industry coaches are especially great. A venture capitalist since 1986, Fred Wilson has been sharing his perspective and advice on his blog for more than a decade. Ranging from personal observations to detailed breakdowns of how funding works from the inside out, this is an entertaining and incredibly informative blog. ​Another venture capitalist (he’s a partner at Redpoint) willing to offer his experience to new businesses. 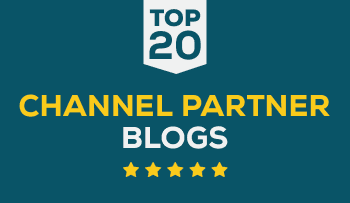 This attractive and tightly-written blog covers issues of fundraising, benchmarking, best practice, and many other early-stage concerns. A must-read. 21. This is going to be BIG! Like an informational inspirational shot in the arm, this blog delivers an enthusiastic dose of data for any entrepreneur. The blogger, Charlie O’Donnell, is a NYC venture capitalist who devotes a huge amount of time to helping new businesses get off the ground. His posts are personable and full of great advice. Aimed at women in the entrepreneurial space, this blog highlights news, events, and commentary on starting a new project, and has the empowerment and education of all new business owners as its mission. The posts are smart, informative, and written from an engaging point of view. Entrepreneur and investor Justin Kan co-founded popular video social apps and platforms (including switch.tv) before becoming a partner at the venture capital firm Y Combinator. His blog is a high-octane burst of inspiration and knowledge, delivered with charm, energy, and authority. Dr. Jeff Cornwall is Professor of Entrepreneurship at Belmont University, and has published nine books on the subject, along with countless articles. His blog is another way for him to share his vast knowledge with small business founders all over the world. Worth a visit, especially for his insightful video interviews. Blogger Jason Cohen has founded four companies. He bootstrapped the blog’s namesake, Smart Bear from nothing to a value of millions before selling. He’s also the author of a popular book and currently CEO of WP Engine. His smart and funny posts cover a large variety of topics which come under his tagline of “startups + marketing + geekery.” As entertaining as it is informative. ​Previously the lead developer on Tumblr, currently founder and CEO of Overcast, with many successful projects in between, this blogger knows both app and startup development inside out. In his stripped-down, very readable blog he chronicles App news, shares his brilliant tech podcast, and offers some very savvy advice to startups. True to its title, this blog takes a hard look at what it takes to start a business today from the vantage point of both startup and investor. Blogger Mark Suster is a hugely successful entrepreneur who has made the switch to venture capitalism. He has many lessons to share with business hopefuls. This attractive, flashy blog offers wide coverage of the questions and issues facing small business entrepreneurs today. Marketing, management, finance and tech are all well represented, and the articles are well-written and easy to absorb. A great place for a quick hit of encouragement or advice. In spite of the humble name, this blog belongs to Ryan Carson, co-founder and CEO of Treehouse, an online education platform which puts app-building tools and much more into the hands of other entrepreneurs. His posts are personal, inspiring, and packed with sharp insight. The All Business blog is a massive resource for young companies, covering an enormous range of business topics with their sharp, immensely readable article. From funding to marketing to management and beyond, you’ll always find a post to pique your interest. Business support and learning platform Smarta runs an amazing blog directed at anyone trying to succeed in business, and the topics they cover are blisteringly relevant to any new business owner or hopeful entrepreneur. From their practical “bit sized guides” to their topical opinion pieces, you’ll always find something valuable here. Ben Milne’s blog is gorgeous to look at, full of amazing, infographics, and it’s also wonderfully personal, which makes it irresistibly engaging. Ben is the founder and CEO of Dwolla, a mobile payment network that’s getting ready to change everything. This blog is unique, brilliant, and meaningful, full of gifts for any entrepreneur. Author Ash Maurya has a long record of success, launching products, founding companies, and nurturing young businesses. He holds mentorship roles in startup accelerators all over the world, including the Mozilla Foundation, Capital Factory, Year One Labs, MARs, and Ideally. His blog casts a bright, interested eye on startups and is a treasure trove of great analysis and advice. As the founder and CEO of Clarity, a platform which links experts with people who need advice, Dan Martell knows a lot about the transferral of knowledge. His own blog is a great example, full of tidbits about success, and scattered with topical videos on issues like startup marketing and financing. A consistently inspiring read. Designed “for busy entrepreneurs,” this blog is written by brothers Matthew and Adam Toren. Their bottom-line approach to earning money gives them wide appeal, and the gorgeously designed website is absolutely stuffed with quality articles touching on absolutely every aspect of starting a business. So there you have it. 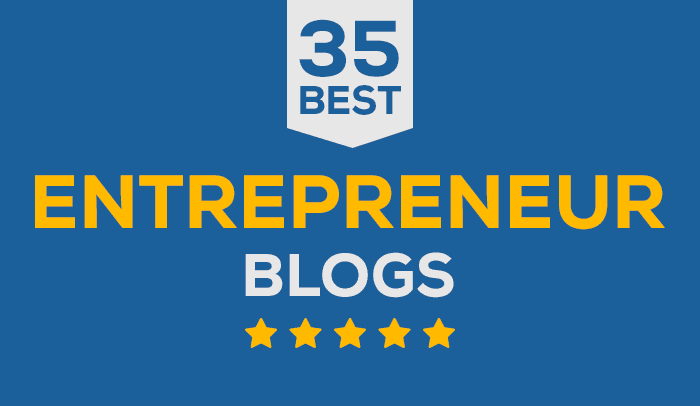 35 of the very best entrepreneur blogs out there at the moment. Whether they are giving you a window into the processes of a successful start-up, providing professional insight into a specific aspect of business, or simply geeking out over new technology and developments, these blogs have a lot to offer any small business owner. What an informative post! Entrepreneurs’blogs are indeed gaining popularity big time & in the context of it, having a post displaying the best 35 entrepreneurs completely fits this frame superbly! BookMyIdentity is a domain registrar that also helps you start your own blogging website at a throwaway price! We suggest reading all the 35 mentioned blogs to all the tech-entrepreneurs as well as entrepreneurs, it will save your time finding best blogs that can help you get started.